Holiday & Sporting Complex, Family camp. - situated in the heart of sunny Central Otago. Family camping: cabins, power & non power tent sites available. Adjacent to golf course, tennis courts & bowling green. Ideal spot for fishing, boating & swimming. Close to Clyde Dam, historical buildings, shops, cafes, bars & in the heart of award winning wine country. Facilities: Linen Hire, TV.$2 Coin operated showers, dump station. 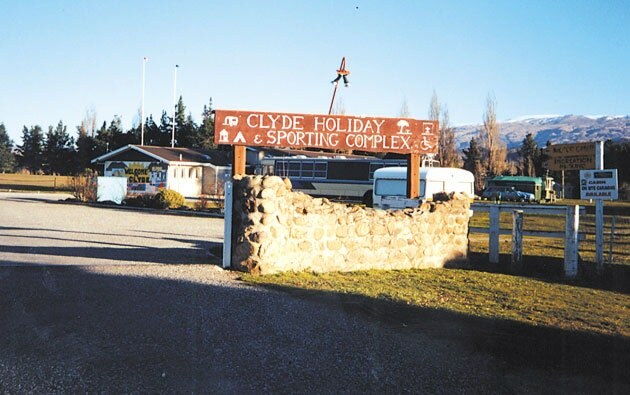 Clyde Holiday & Sporting Complex is a member of the Holiday Accommodation Parks Association of New Zealand. Peak times 20 Dec - 31 Jan, Easter, Labour Weekend..
Holiday & Sporting Complex, Family camp. - situated in the heart of sunny Central Otago. Family camping: cabins, power & non power tent sites available. . . . More . . .